Willard Van Orman Quine and discuss one of the most influential logicians of the twentieth century. Willard Van Orman Quine (1908-2000) was perhaps the most influential American logician of the 20th century. Quine was born in Akron, Ohio. His early career thoughts reflected this tension: “There is that which one wants to do for the glory of having done it, and there is that which one wants to do for the joy of doing it”. As an undergraduate at Oberlin he flirted with creative writing, the study of language, mathematics, and philosophy. When someone told him of the work of Russell in “mathematical philosophy,” he was attracted by the notion of a linkage between the two disciplines and wound up majoring in mathematics with honors work in mathematical philosophy. Thus he embarked on the path that led him to the Edgar Pierce chair in philosophy at Harvard and to high status in both the realms of symbolic logic and philosophy. Quine was also important as an educator. He wrote three textbooks. The first, Elementary Logic, was designed for undergraduate survey courses; the second, Methods of Logic, was designed for students intending to major in mathematics; the third, Mathematical Logic, is his formulation of his own system of logistic and has been used extensively in graduate courses for decades. All three of these books have gone through numerous editions. Mathematical Logic was first published in 1940. Much of Quine’s logical work has centered on set theory and the discussion of hierarchies of types. This is in accord with the influence that Russell exerted on him in his early years for Russell was much concerned—and some say—stumbled somewhat in his notions concerning types. 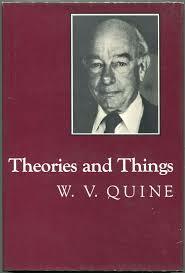 One aspect of Quine’s philosophical work is of particular interest. First, Quine did not accept the efficacy of the analytic-synthetic division made by many philosophers with respect to statements. A synthetic statement is true irrespective of facts, e.g. “No bachelor is married.” An analytical statement is true on the basis of what is or is not the actual case, e.g. “A river flows through Brisbane.” The argument for the existence of a substantial division between these types of statements, Quine believed, had never been satisfactorily made and probably could not be made. The distinction between analytic and synthetic statements in textbooks of modern logic persists, however. This may be so because it is a very handy way of looking at the difference between logical truth and other forms of truth. Paper Masters writes custom research papers on Willard Van Orman Quine and discuss one of the most influential logicians of the twentieth century.